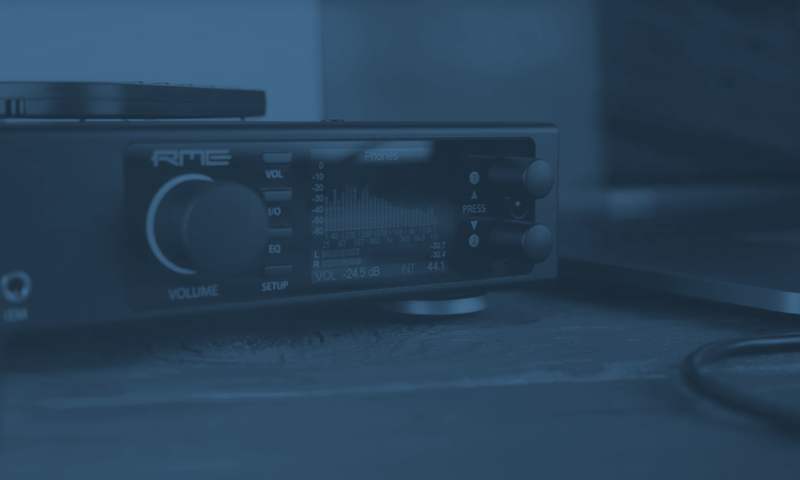 RME offers a comprehensive range of audio interfaces, converters and mic preamps, all based around its unique and innovative core technologies. Multi-platform connectivity across Windows and Mac OS via PCI, PCIe, Thunderbolt technology, FireWire, USB 2 and 3, as well as iOS Class Compliance has earned RME a global reputation for providing support to all users on all platforms. This is particularly apparent with the inclusion of multiple interface formats on products such as the Fireface UFX, UFX+, UCX, 802 and MADIface XT. RME‘s reputation is further enhanced by its rock-solid drivers, which provide unrivalled stability and low-latency performance on both Windows and Mac OS. And because the company develops its own interface core, it’s not dependent on 3rd parties for upgrades, modifications or bug fixes. From the very beginning, unsurpassed performance has been one of the cornerstones of RME‘s product design, and this is even more evident today. RME were the first to deliver professional performance over USB 2.0 and have recently paved the way for multichannel audio on USB 3.0 and Thunderbolt technology for Windows. RME‘s refusal to compromise on any aspect of product design or manufacture has resulted an unrivalled reputation for quality, performance and reliability. A collection of durable audio products built to the highest standards. myMix is a network ( Fast Ethernet 100Mbps) based audio mixing and recording system designed for an easy operation, fulfilling highest audio demands . Each myMix has network inputs and outputs and can operate either self contained or integrated with any analogue or digital mixing console for system as large as 500 audio channels. On optional SDHC cards each myMix can record up to 16 audio channels as 24-bit wav files, which can be used in any DAW or played back and remixed within myMix. Combined with the local inputs a perfect way to practice at home “with the band”.